The road less traveled brings stories never told. 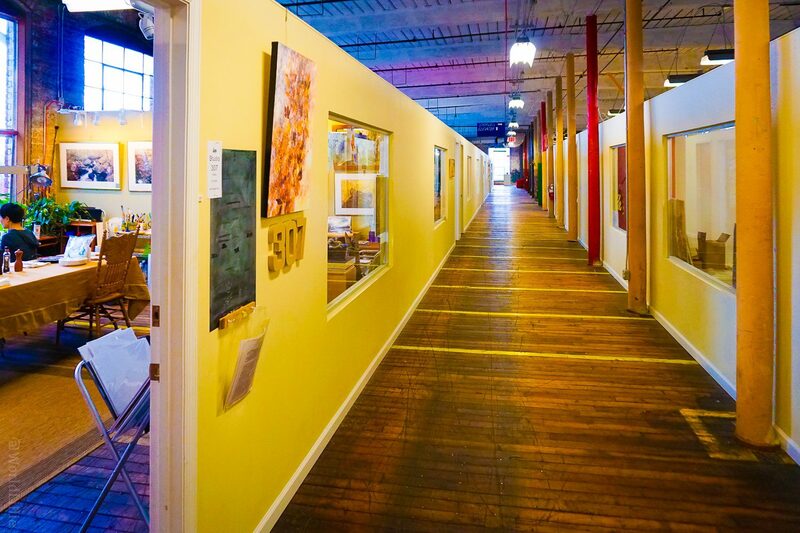 This artist collective in Huntsville, AL is a perfect example. It seems like from my time living near Los Angeles and San Francisco I have a one-dimension view of what an artist loft should be. Instead of the haggard shell of an old warehouse, this space in Huntsville is made in an old mill. The interesting part is that the spaces are full of color and smiles, instead of cigarette smoke and brooding beatniks in all-black. If I were to travel to any major city I would expect to see artist collectives being strangely drab and uninspiring. It’s one more reason to travel to the “other” places. As a traveler I often see road trips as either “country” or “city.” This means when I hit up the city I go to a metropolis. That really leaves a lot of cities off the short list and I can see the error in my thinking. Bigger cities attract many bright stars, but also the many gray-faced people that can generate a malaise if you spend too much time in one spot. From the travel blog “Around The World “L”” we find some cool people up to cool stuff in Huntsville. Bright colors, bright faces, and stories too cool not to share. You bet. Thanks for the article 🙂 The photos were fantastic and you did enough background to make the text actually tell a story, and not just link photos together (some thing that is very common unfortunately).